In June 2014, the Prime Minister emphasised the important role that British values can play in education and how well a school promotes such values is an aspect of Ofsted’s inspection process. Although this is something which is developing in its significance for schools, it is not something new at St Andrew’s C.E Primary School where British Values are promoted in much of what we do, during the school day. The values are integral to our vision and our Christian values and as such they are incorporated and embedded into our whole school acts of Collective Worship and Religious Education, as well as across both our planned curriculum and our hidden curriculum (for example that which arises from how staff respond to children and children respond to other children). As well as actively promoting British values, the opposite must also apply; we would actively challenge pupils, staff or parents expressing opinions contrary to fundamental British values, including ‘extremist’ views. The values we espouse are not unique and we acknowledge that they may not differ from the values of the many countries and the cultural backgrounds that may be represented by families within this country. St Andrew’s is a UNICEF Rights Respecting school. Each year the children decide upon their class charter and the rights associated with these. All the children contribute to the drawing up of the charter. Children have many opportunities for their voices to be heard, including our Head Boy and Head Girl, our Eco Rangers and School Council. Our School Council meets regularly to discuss issues raised both in class and in school as well as consider issues and matters in the wider school environment. The council has its own budget and is able to genuinely effect change within the school. Two council members for each class are voted in by their class. Children have an annual questionnaire with which they are able to put forward their views about the school. 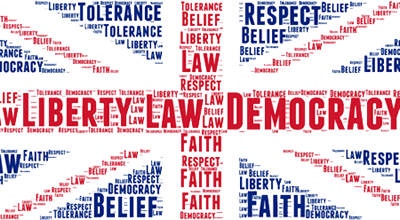 When appropriate we organise visits to local council offices and we include in relevant curriculum delivery the advantages and disadvantages to democracy and how it works in Britain. Within school, pupils are actively encouraged to make choices, knowing that they are in a safe and supportive environment. As a school we educate and provide boundaries for young pupils to make these choices safely, through provision of a safe environment and empowering education. Pupils are encouraged to know, understand and exercise their rights and personal freedoms and advised how to exercise these safely, for example through our E-Safety and PSHE lessons. Whether it be through choices in learning, how they record, of participation in our numerous extra-curricular clubs and opportunities, pupils are given the freedom to make choices. UN CRC Article 14: Children have the right to think and believe what they want, and to practise their religion, as long as they are not stopping other people from enjoying should their rights. Parents guide their children on these matters. St Andrew’s is situated in an area which does not show great cultural diversity, therefore we place a great emphasis on promoting diversity. Collective worship is regularly planned to address this issue either directly or through the inclusion of stories and celebrations from a variety of faiths and cultures. Our RE, PSHE and RRSA teaching reinforce this. Members of different faiths or religions are encouraged to share their knowledge to enhance learning within classes and the school. Children visit places of worship that are important to different faiths. At St Andrew’s we will actively challenge pupils, staff or parents expressing opinions contrary to fundamental British Values, including ‘extremist’ views.